How can you not like Spain? Its economic prospects are in the toilet, yet they still live, eat and love like nothing is wrong. 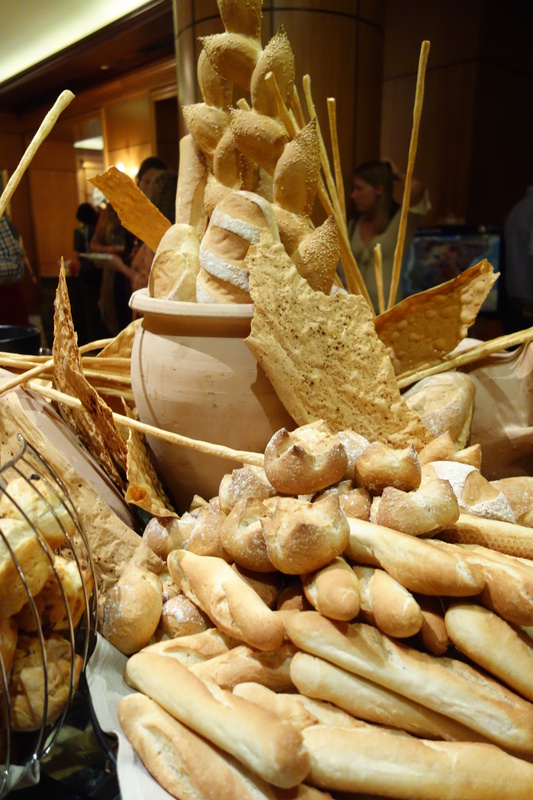 The Four Seasons Doha recently held a Spanish and Portugese Wine and Food Fair, showcasing the best of the Iberian Peninsula. 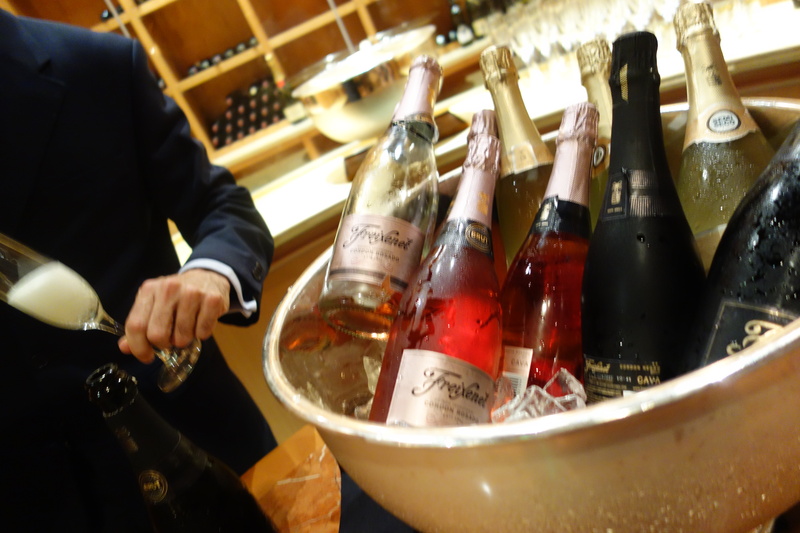 The evening was more of a fair and included samples from selected winemakers from the region, plus tapas as well as cheese offerings. The cheese on offer was more of a tour of Europe. 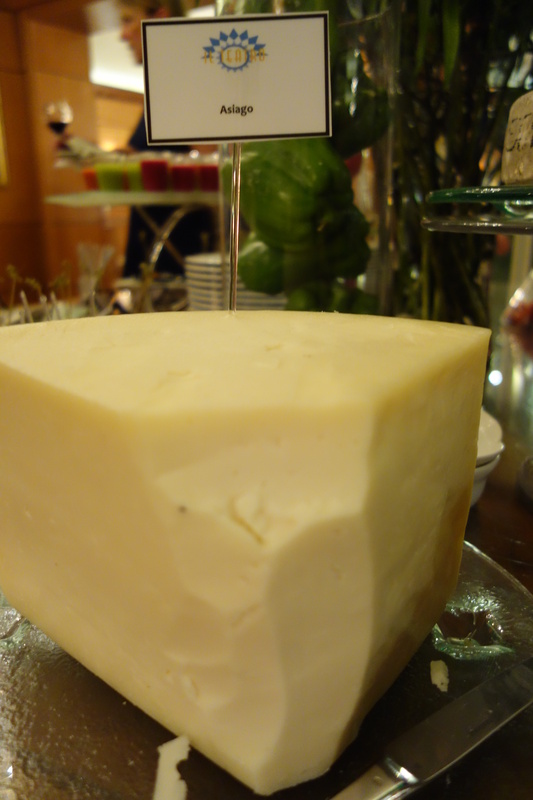 Of course there was the Spanish national icon – Manchego. On a visit to Madrid last year, I believe I ate this at every meal. For five days. made in the La Mancha region of Spain from the milk of sheep of the Manchega breed. Official Manchego cheese is to be aged for between 60 days and two years. Other cheeses on offer circled the European connection. 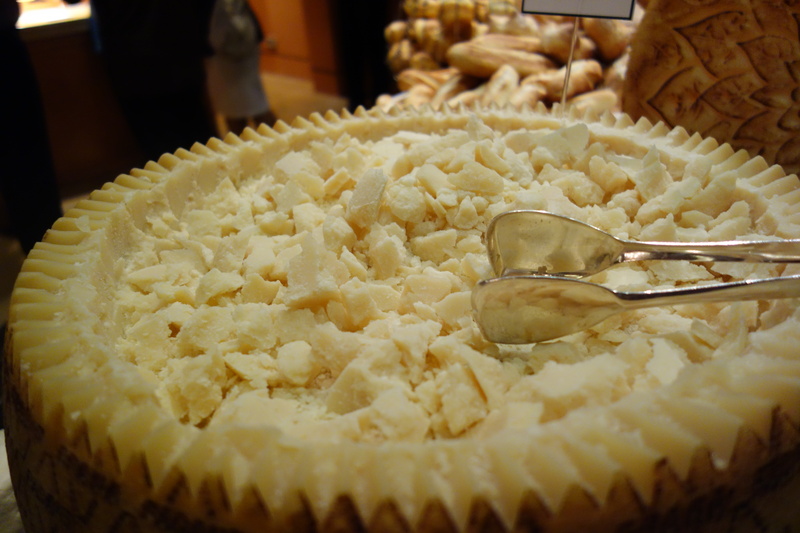 Including a fabulously huge wheel of the Italian grande dame of cheese, Grano Pandano. Grana Padano is one of the world’s first hard cheeses, created nearly 900 years ago by the Cistercian monks of Chiaravalle Abbey, founded in 1135 near Milan, who used ripened cheese as a way of preserving surplus milk. 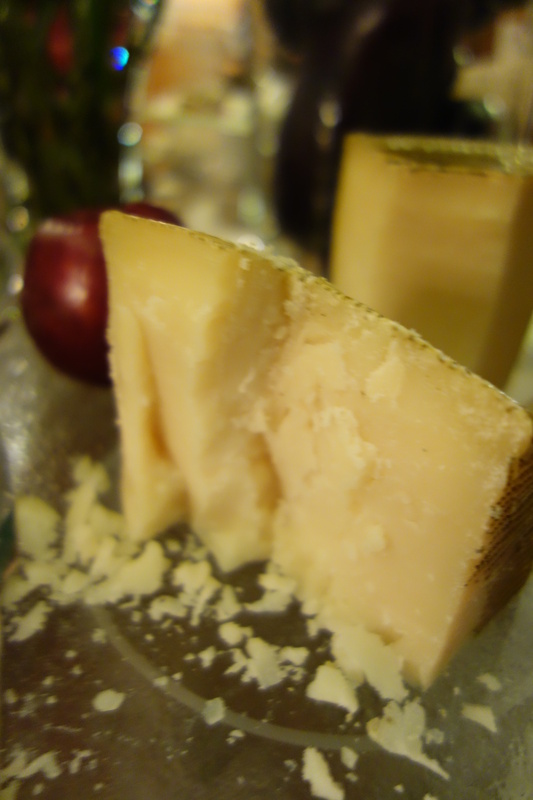 By the year 1477, it was regarded as one of the most famous cheeses of Italy. It can last a long time without spoiling, sometimes aging up to two years. This one had just the right amount of bite for the wine on offer. Meanwhile, this cheese caught my eye. 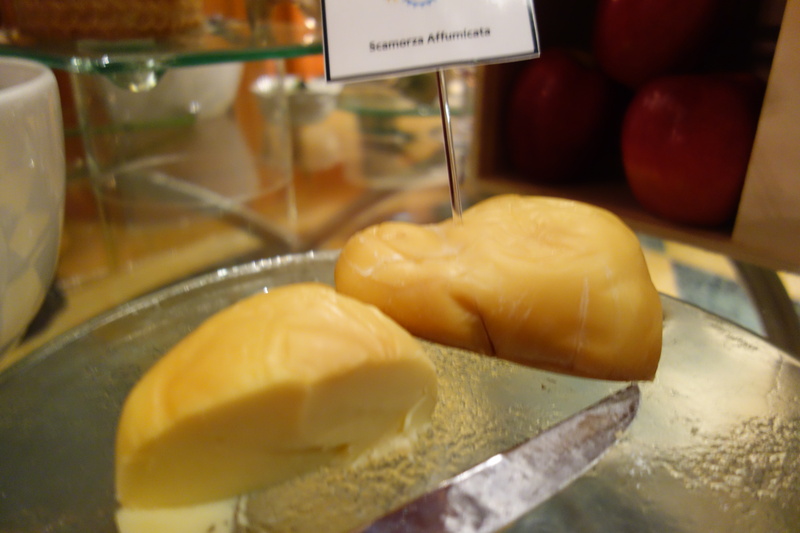 Scamorza is a plastic (or stretched) curd cheese, in which the fresh curd matures in its own whey for several hours to allow acidity to develop by the process of lactose being converted to lactic acid. Artisanal cheesemakers generally form the cheese into a round shape, and then tie a string around the mass one third of the distance from the top, and hang to dry. The resulting shape is pear-like. 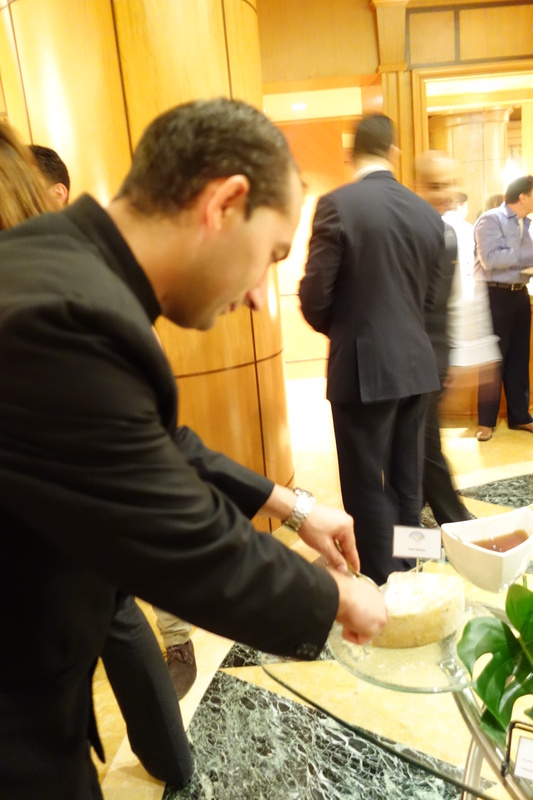 This is sometimes referred to as “strangling” the cheese. No strangling required here. It was delicious. 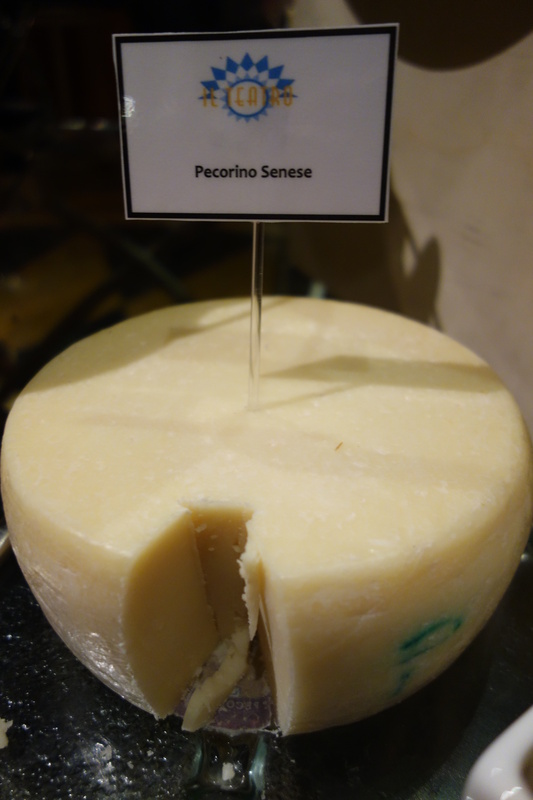 Still in Italy, we were also offered some lovely Pecorino, which is always a crowd pleaser with a nice red wine. Meanwhile, I was waylaid by this beautiful Asagio, which I always think sounds Japanese but is actually from Italy. We then moved over the the Pyrenees and closer to the Iberian Peninsula with two new cheeses for me. 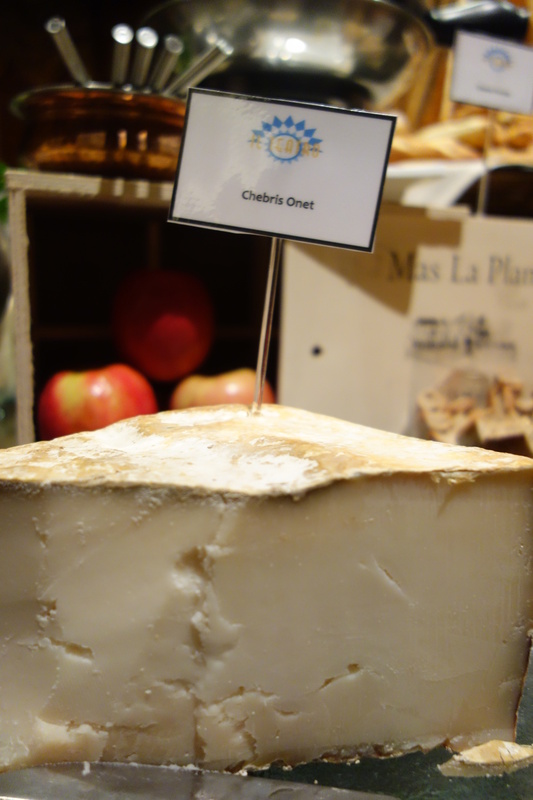 Onetik is the name of a dairy that produces many French cheeses. It was full-flavored, meaty and musty, fairly salty with a hint of nutty sweetness. 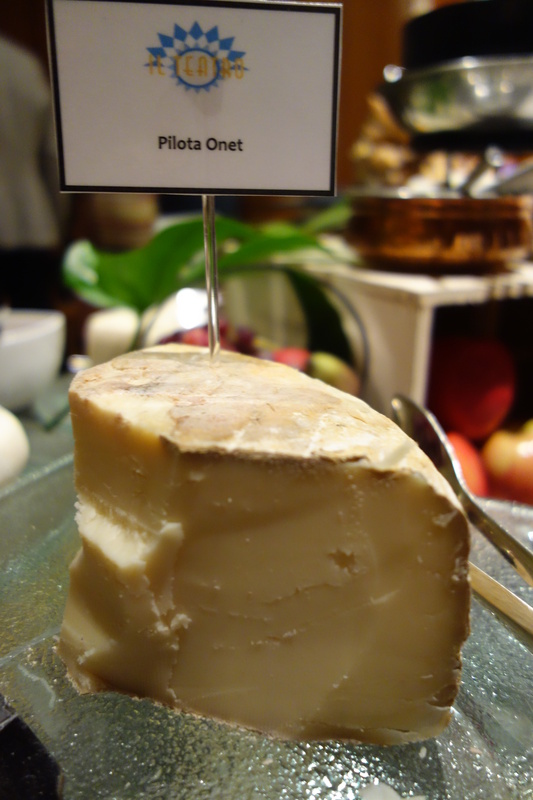 The texture of Pilota becomes very dense and creamy in the mouth. Chebrin Onet was a revelation and brought us back to Spain. They say this cheese may be one of the oldest aged cheeses in existence, dating back 3800 years or more. Its a mild and nutty goat’s milk cheese from the Basque region in southern France and Northern Spain. It’s a mild, slightly oily, nutty cheese that and is aged for three months. It is firm and has a thick and yellowish-gray rind and an ivory-colored smooth and slightly oily texture.The flavor is a touch sweet with refined hints of olive, hazelnut and fig. That Onet makes my mouth water. I will be instigating a search here in Berlin.